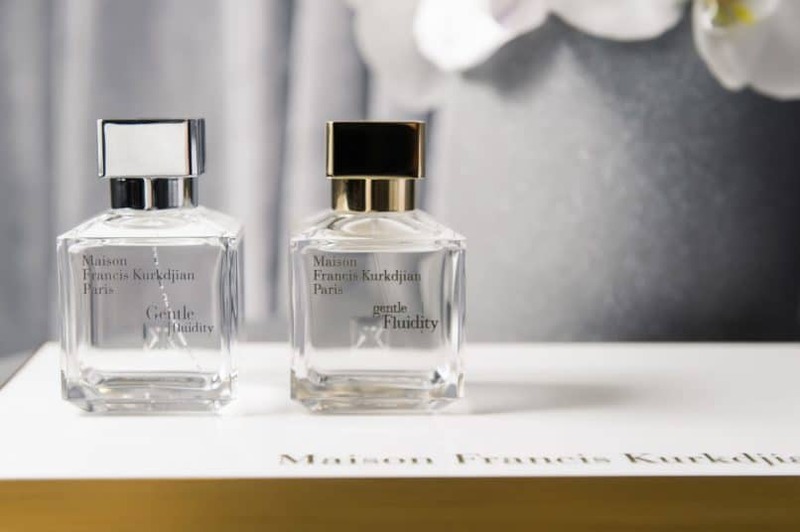 Parisian fragrance house Maison Francis Kurkdjian is no stranger to exquisite and complex scents, having slowly built up an extensive ‘fragrance wardrobe’ since the company’s inception in 2009. This year, they launch a pioneering attempt at perfume craft in response to the increasingly prevalent social concept of gender fluidity, a crashing wave against the old world industry dichotomy of masculine and feminine scents. Despite boasting the same forty-nine identical ingredients and the same six star notes, the Maison has created two completely contrasting fragrances — a striking, successful experiment in scent building. By spotlighting the same six accords in varying degrees, they’re able to tease out a magnificent contrast in identities. Gentle fluidity — capital G, lowercase f — is encased in sleek silver: an ambery, woody scent characterised by strong top note in juniper berry and nutmeg oils, with a bright, outgoing base note of ambery woods. Conversely, gentle Fluidity — lowercase g, uppercase F — is the sun to its stars; a classic carafe in gold, emphasising a heart of coriander oil, the warm human touch of musk and a sweet vanilla blend to round off each whiff. Both are priced at HK$1,550 each at JOYCE Beauty. 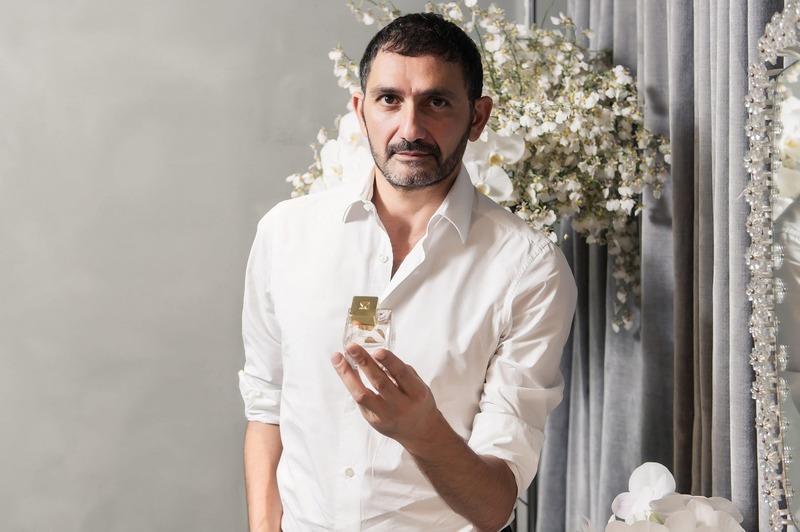 Ahead of the launch, we spoke to Maison founder Francis Kurkdjian himself at a meet and greet event at JOYCE Beauty on this exciting new launch, as well as his inspirations and philosophies in crafting scents that will stand the tests of time in the world of perfume. Tell us about how you came up with the concept for Gentle Fluidity, were you inspired by an event, was it something you always wanted to develop? Was it something you wanted for yourself? As you’ve read the name, it’s truly connected to gender fluidity. But there is a twist on it, because I wanted to go beyond. I don’t know how much it is an issue here in Hong Kong, but at least in Europe and the US and many places in the world, the idea of gender fluidity is a point that people are making more and more. 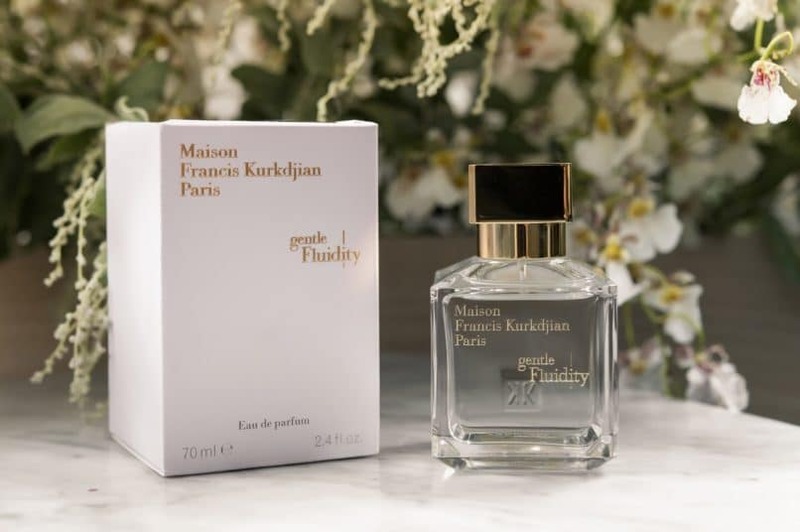 I was inspired by that and yet I also wanted to disconnect ‘gender fluidity’ from the perfume, I was inspired by how the concept of gender fluidity itself can express to me and how I can translate that into a scent. So the idea of the two new fragrances is a response to a contemporary view of gender identity -- it’s interesting there’s a sense of duality, with the use of the same names, the precious colours and the same highlighted six ingredients that were formulated in different ways. But how does that make these perfumes different to creating a unisex perfume? Two or three years ago I was asked by many journalists about gender fluidity — did gender-fluid fragrance exist at the time? I quickly answered: haute cologne, and amber notes, and unisex fragrance were already gender fluid, but they were gender-fluid fragrances because basically it was not named [with gender in mind]. The main difference with these two scents in Gentle Fluidity is that it is the formula that is gender fluid. It’s not the perfume itself, it’s a formula: We have the same ingredients on both formulas, on both sides, and the idea was to show how I can design two fragrances with this same exact list of ingredients. So that’s very different from one single unisex perfume. How did you come up with two different fragrance families using the same ingredients -- can you tell us a little about the major notes, and did you pick them purposely to be very versatile scents? It’s the same six star ingredients, and exactly 49 ingredients in total. We highlighted six of them to make people understand what was working; it’s like if I could sum it up, it’s in six notes. But the musk accord contains about six different musks. The vanilla blend has about 10. These six highlights listed here mean that the other ingredients are more technical ingredients — you don’t really smell them, but they are hidden parts of the fragrance. When you look at perfume, it’s like a piece of architecture. You have to look at the formula, which works as a blueprint — there are things you don’t see [in the building] but they are there. No, I didn’t specifically choose more ‘versatile’ scents. I wanted to show, through fragrance, the fact that raw material in perfume is like raw material in fashion. Fabric, like silk, has no gender, but as a designer, if I cut a piece of silk tie, or if I designed a dress — because of social conventions — a tie defines a man and a dress defines a woman. Ingredients work exactly the same, it depends on how you put the note. It depends on what you put them next to. For example, if you put a dosage to a point it is a major note, it smells like fresh wood; it becomes very masculine in a way because juniper has that fresh, vibrant scent, but also you get that juiciness. If you use it as a minor note, there is something very floral and close to big white lilies, or like some roses as well. Nutmeg gives depth — it’s not sweet, but it’s warm. Vanilla can be sweet and warm, but nutmeg is more fresh. I love that kind of warmth. This is the typical note that you have in the silver version. Coriander we used the seed and not the leaf. Coriander seed is mostly floral — can you smell the freesia? The leaf is much fresher, it doesn’t have the floral note, and the leaf is almost too soapy. Some people don’t like it because they find it too metallic. Musk is very soft, it’s almost a piece that you don’t smell, but it brings softness, roundness, very skintone, very fleshy. Were you able to envision and map out the scent formulas in your mind during the planning stages for Gender Fluidity? Yes, mostly. You know when you map it in your head and you have the wordings — when you use certain letters next to each other, you know that they will make up a word. And when you look at a new word, you may not know the meaning of the word, but at least you can pronounce it, because you have been taught to pronounce and blend letters next to each other. Raw materials is the same — I’ve been working for 25 years now, and with practice you get used to it. Do you ever have a personality in mind when you are designing a fragrance? Never. I always try not to, otherwise it gets too personal. If I think “blonde, tall, thin” — as 99 percent of the business does — to me it doesn’t bring anything. My idea is to open the doors and the views on who should wear it, and so I never think about the person, the face and the hair. Otherwise it becomes a bespoke scent, which is different — it’s a different inspiration when you design just for one person specifically. What was the most challenging thing about the production process, and what are you the most proud of about the final products? The challenge was fun, in a way. In the beginning, the two perfumes were supposed to be different, with different ingredients inside. When I was sure about the name, I thought about gender fluidity: it should be the same DNA, expressed in two different things. Because that’s what gender fluidity means. You are the same individual and you express yourself between balancing one and another with no judgment, with your own will. At some point, I decided to put the fragrances next to each other, to compare the formulas, to remove what was not in common, and we reworked everything. That was the most challenging — to use the exact same ingredients, because sometimes it works in one formula and not the other. So you have to find a way to make it work or you have to find another ingredient. It’s an unusual format, I think the first time in the world that two perfumes are made with exact the same ingredients. I don’t like to pretend I’m the only one to do it, but for once, I can pretend that this was very unusual — this is truly, truly new. I’m very happy to be able to come up with the formula. When and how did you begin your training for the fragrance industry? What drew you to this field at first? I started mostly because of fashion and couture — because fashion is not the word that we were using 40 years ago (I don’t look old, but I’m old). Fashion today is more about the look, not the ‘pose’ and I think good posture is much more important than to have a good outfit. Because style is not about what you wear, it’s how you wear it. When we look at iconic women back then, such as Jackie Kennedy and Grace of Monaco, you don’t remember what they were wearing, you mostly remember how they walk and how they sit down and how they shake hands. It’s more about the gesture. I was raised, in a way, with that in mind and with perfume, I think exactly the same way. Perfume gives you a mood. Sometimes you can wear a strong perfume, and it can give you strength and energy and sometimes you wear just a soft perfume, which can help you to relax, to melt in your couch. What convinced you to want to create your own independent house? There are very few perfume brands with their own in-house perfumers. Usually you start in what we call a fragrance house, and I worked for about 14 years. When I started my house, I was still working for other companies, for instance I still work for Burberry. The main reason why I started out on my own was I was scared to be tired, one day, of working for so many brands at the time, and not to build something consistent and that would last. When you work for brands, you follow the seasons and it’s one perfume after the other. I started very young, younger than most other people. A perfumer has his first successes at about age 40. I started when I was 25. I was worried about the longevity I could have in the business. So being independent, having my own company, secured me in that way. It’s a risk, but it’s more risky not to do it. I don’t put my life at risk — it’s money, of course — but when you turn back to your life, what is it to lose money? I prefer to lose money than to lose dreams. I think that kind of risk is not dangerous. You have one life. I know you call your collection a ‘fragrance wardrobe’ as well. So is that kind of the same idea like you are able to put on a persona, a mood? It’s totally inspired by this idea. My mother was a Yves Saint Laurent addict, and to me, Saint Laurent has a sense of modernity in terms of couture and fashion — there was the diversity between the tuxedo for women that he designed, to the black gown with the pink bow for example, even just for eveningwear. You have the diversity of clothing. In fragrances, the majority of the market is for women — about 75 percent. If you are a woman, and if you don’t like florals, there is nothing for you, because in the perfume world, it’s so hard to convey a scent, that usually the perfume world goes by cliché. Women should wear flowers, men should wear woods. And if you have a collection with a pink scent, you can be sure that the pink perfume will be the bestseller no matter what it smells. I believe those rules are little by little falling apart. In my collection, the idea is not to have a specific fragrance style, it’s more to bring that diversity for women. I think women want that these days. You can change your nail colour, haircut, lipstick colours every day, all the time. That was not the case 20, 25 years ago; women were more in boxes. Women fought for their freedom, and I think there’s a possible translation there into a scent; my dream, my mission is to accompany women in that idea of bringing them the freedom to decide who they want to be and to choose a fragrance they want. Is the design process dramatically different when you are creating a scent for the home (for instance, your Homes Sweet Home collection) versus a scent for the body? No, the process is the same. Inspiration works the same — you have to tell the story, whether it’s the story of a home or a formula split into two. The process of storytelling is the same. In your experience with fragrances, what are the biggest things that have changed in the industry, in terms of production, demand, trends? Perfumes are meant to stay years and years, as a social concept, before it changes to something else. As an example, I can tell you that 15 years ago it was all about metrosexuality, then we had uber sexuality, then we had generation X, Y, Z. We have the millennials right now and when I was young, we weren’t talking about millennials, we were talking about teenagers or more or less all young adults now, which is basically the same word too. We just have a new name. The business of fragrance is meant to last. It’s not like fashion, where it’s meant to be outdated every six months. Even though with perfume you come up with new stuff, the idea of success in perfume is lasting year after year. What makes a perfume house successful is the consistency of the fragrances you launch. There’s more of a chance that Gentle Fluidity will last longer than ‘gender fluidity,’ the concept. I believe that in five or 10 years’ time we have a new name for it… or would we already be onto something else? Do you have your own staple perfume or do you like to change it every day? No, I don’t wear perfume myself. I wear them when I try, when I work — my job is to create them, not to wear them. 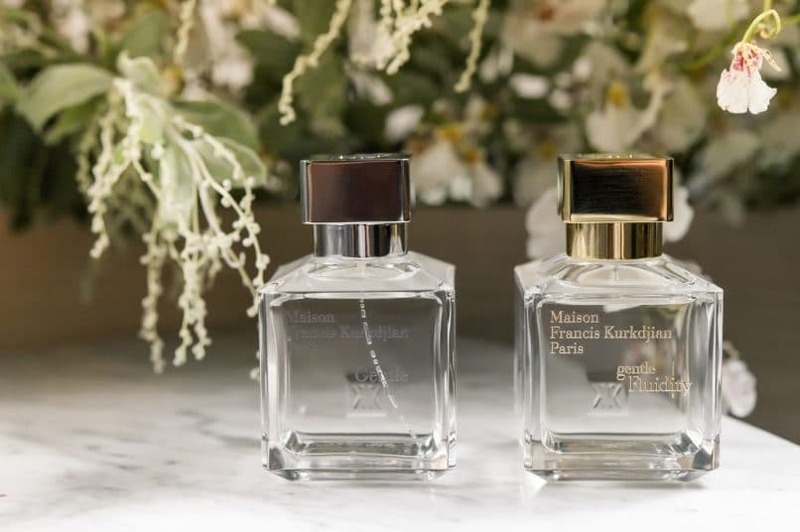 In the maison’s fragrance wardrobe you’ve created scent collections that capture femininity (Pluriel), intimacy (APOM), light and dark (Lumiere Noire); used incredibly rare and precious ingredients (Oud); or made an homage to things such as the sun (Amyris/Aqua Vitae). When does inspiration typically strike for you? It’s a mix of the state of the perfume world at the time I start working and then what I feel from the world I live in. I travel a lot, I worked in Paris. I have very few friends, but they work in different fields and when we talk, we exchange views and opinions and so it’s always interesting to see what’s happening whether on TV, in the movie world, etc. I love to read the news. I love to be connected to what’s happening — so it gives you a pulse. To me this is very important because perfume needs to be contemporary. When we think about high end perfume, we always think about tradition and French grandeur and all these big words, scary words because it brings you back to something about the old world, in a way. What I love about this project, maybe more than any of what I’ve done before, is that to me, this is the very first one which is super connected to today and to what’s happening now. I’ve done things about Paris, the lights of Paris in the morning and in the night and so on like that, but it was just talking about things like a postcard. For Gentle Fluidity, It’s anchored in really something that is happening now, which I usually don’t do, even for other brands. I’m very happy and grateful for this direction, it brings a new dimension to the house that we didn’t have before. What are the most important things people should be considering when it comes to picking a perfume for themselves? Do you like it or not? Do you truly feel something very strong? To me, perfume is not about the price. It’s whether that perfume can give you the feeling that none other can give you. It’s more like, is it the one? It’s almost like falling in love, you know, you have options now. I mean when you go on a dating app or whatever, you can date many people. But is there one special attraction you can find? I always compare fragrances to love and relationships — to me they work exactly the same. There is something very physical about it and you can’t really say why, but it’s physical.